Tarico: I’m impressed that you got permission to talk publicly about the Spiritual Fitness Program. Griffith: Well, I need to say that I am speaking as Sgt. Justin Griffith. I am not representing the army in any official way. 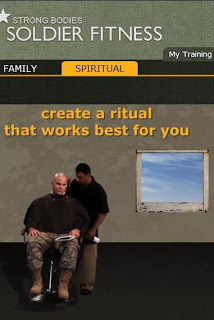 I’m free to talk about my opinions and experiences related to the mandatory soldier fitness tracker, how “Spiritual Fitness” testing and training is being used to put religious conversion pressure on soldiers like me--but not as an expert or in an official capacity. I’ve recently been told that my unit’s public affairs department received a ‘disengage order’ regarding their support. So I’m now only permitted to speak to the media off-duty, all I’ve ever done anyway. I was told that the order came from the Comprehensive Soldier Fitness people, and that’s kind of scary. Griffith: I’m a soldier and a husband, and the dad of a baby girl. I’m 28. I’ve been in the military for four years. I love the military. The military changed my life. It’s given me opportunities to grow as a human being. I’m also an atheist—one of those atheists in foxholes. 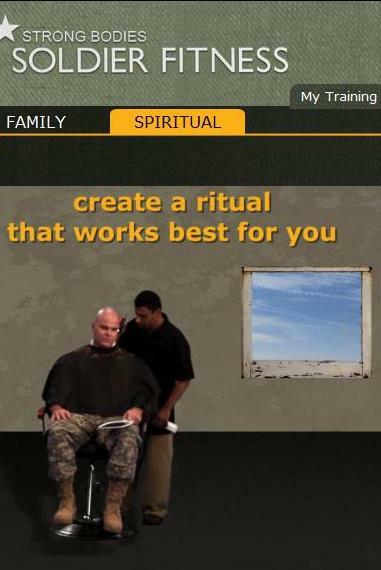 My day to day experience as an atheist in the army is positive. Overwhelmingly. I’ve got nothing but the utmost support from my colleagues, nothing but respect. 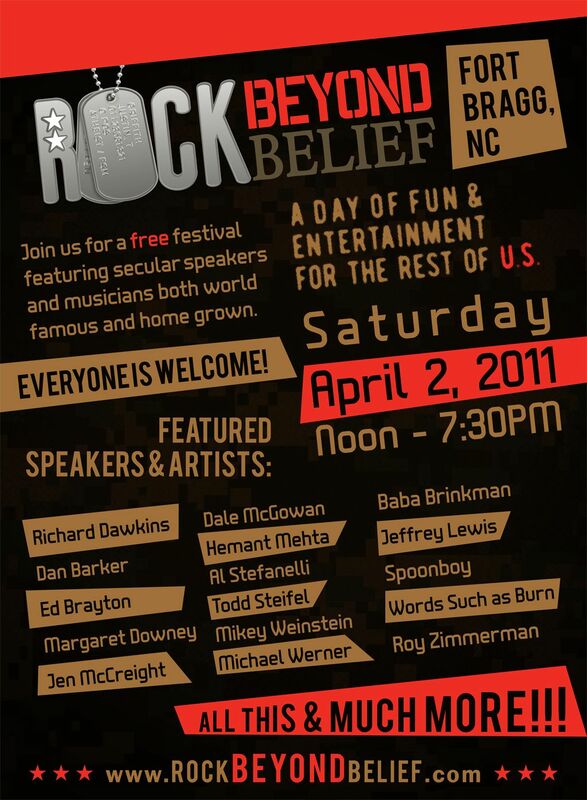 Before I spoke out about Rock the Fort and the Spiritual Fitness Program 99.9% of my interactions with my colleagues had nothing to do with atheism or were positive. Everyone who is an “out” atheist gets a few horror stories, and I’ve got them, but the vast majority of people are respectful or distant if they are not. 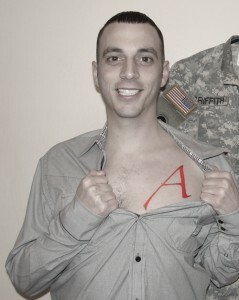 I love the army-- I love my wife-- I love my unit-- I love my wife—I love all of them. riffith: I was talking about the day-to-day, face-to-face perspective. The big stuff that’s coming down from the top, that’s different. There are existing rules in place that are being violated systematically. For instance, soldiers are very vulnerable when they come out of basic training, and evangelistic organizations take advantage of that to target them. 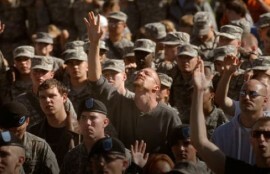 Look at the picture of the five hundred soldiers being converted by the Billy Graham people. It's 200 here, 150 there on stage in uniform. It’s epidemic, and I find it outrageous. The amount of money being spent by American citizens to support Evangelical proselytizing activities is substantial. The smokescreen about spiritual fitness having nothing to do with proselytizing is just that--smoke. Griffith: My commanders have been encouraging, respectful, but hesitant to say, “Hey I’m on your side.” They can’t really endorse what I’m doing, but they have enabled me to speak to people like yourself. 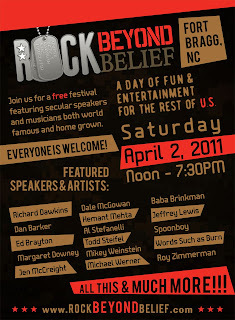 My colleagues and peers-- I’d say there’s nothing but excitement about Rock Beyond Belief, but they are a little cautious. “Spiritual Fitness,” the vacuous smoke screen for religion in the militaryI learned that it is possible to make a difference. It is possible to stand up for what is right, and not have to suffer punishment. That people will like you if you are a good person, and if what you are saying is right and true, people will support you. I learned that there are hundreds of ‘SGT Griffith’s’ on every base willing to speak out now, that my example is comfortingly typical. My inbox is flooded with overwhelmingly positive letters. Those messages keep our local movement going, and are extremely touching to read. Griffith: Look - A soldier wrote a letter to the Military Religious Freedom Foundation. He and twenty-five buddies forced to go see the chaplain because of their low test scores. The whole program is ripe and ready for abuse. Two hundred twenty six co-clients, including battle worn soldier signed on to have the MRFF represent them. 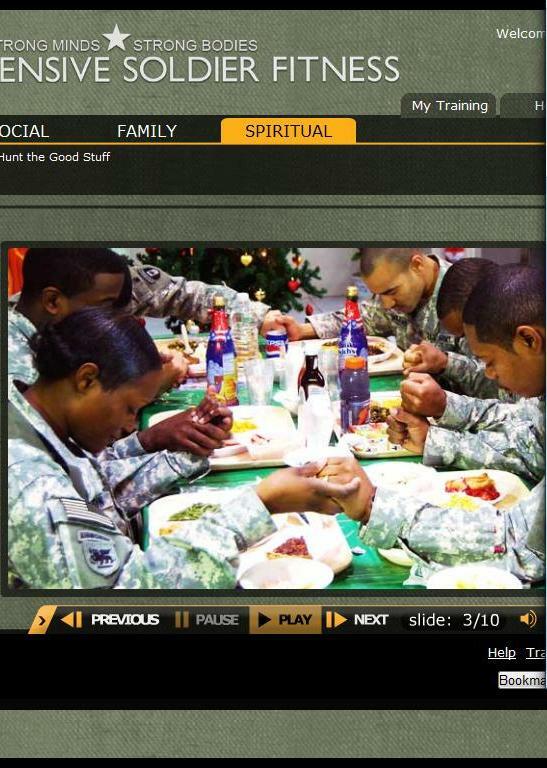 They sent a cease and desist letter asking that the Army stop using the Spiritual Fitness test and training. The letter expired January 25, and they have not fulfilled MRFF’s request.